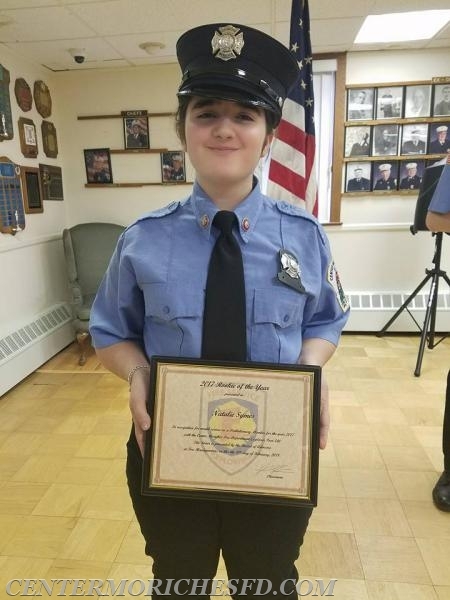 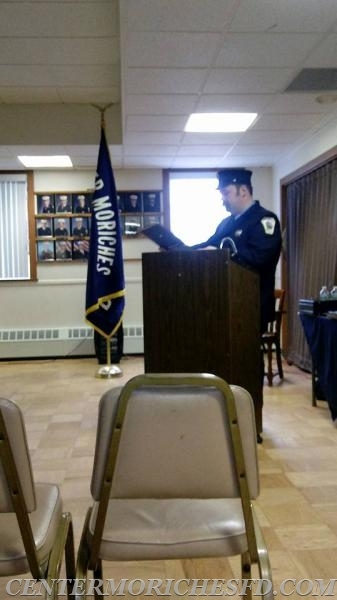 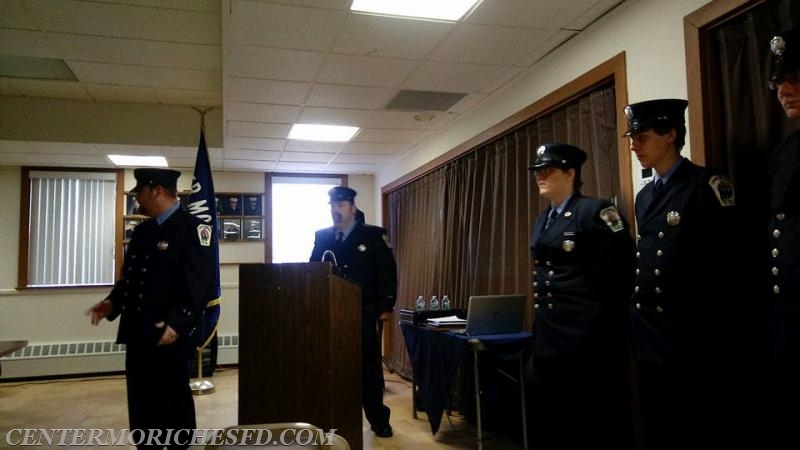 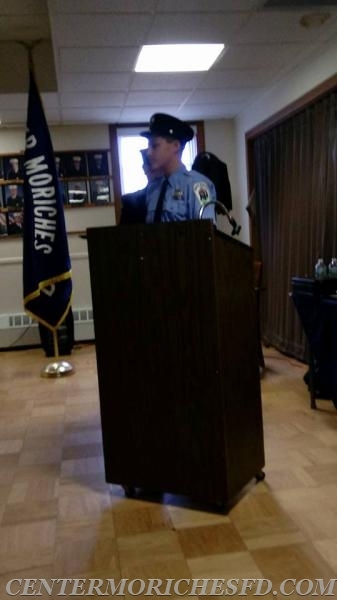 The 2018 Installation and Awards Dinner was held Saturday for Explorer Post 540 at Center Moriches Fire Department Headquarters. 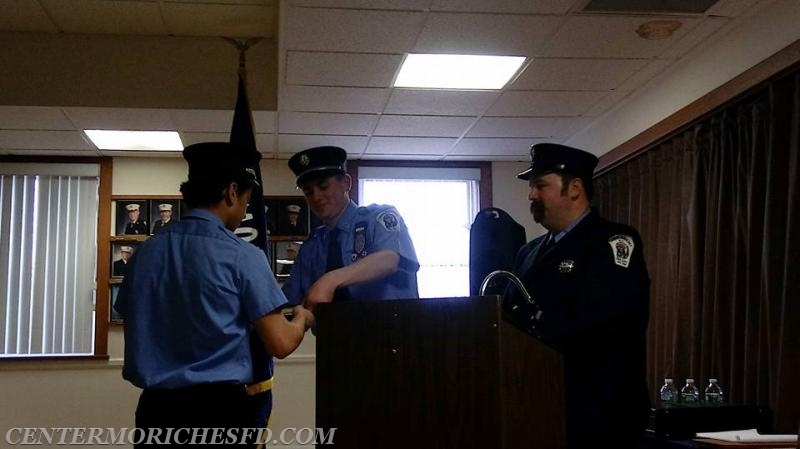 The "Rookie of the Year" was awarded to Secretary Natalie Symes. 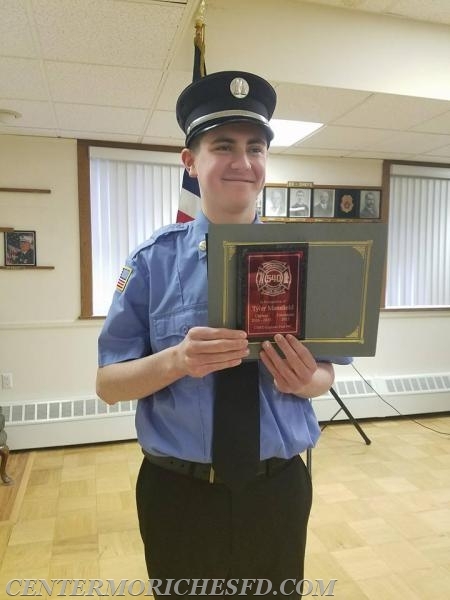 The award was presented by the 2016 recipient, Jeremy Masterson. 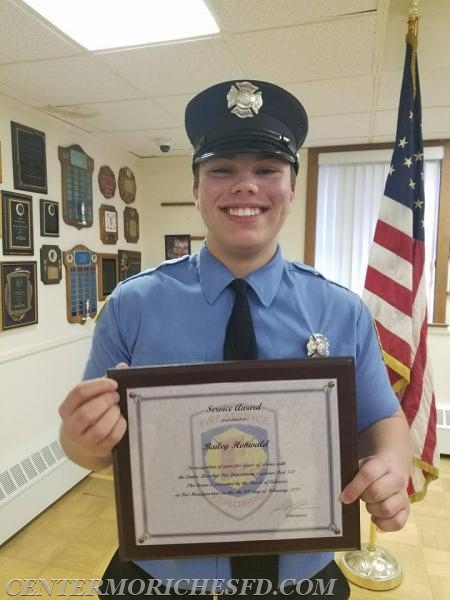 A service award was presented to Bailey Hohwald for his 5-years of service to the program and community. 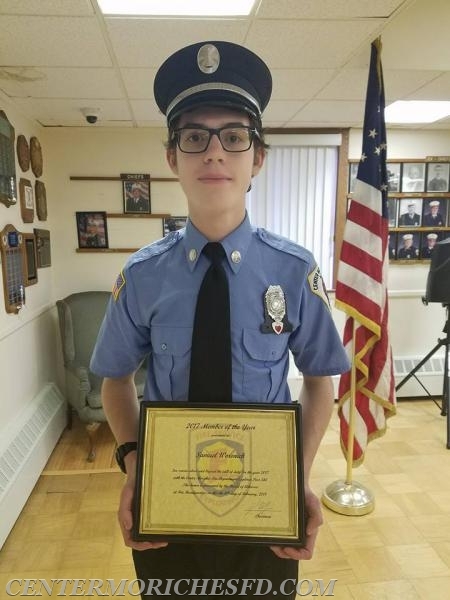 Captain Tyler Mansfield was presented with a certificate of proficiency for completing Explorer Post 540's 100 hour training program, covering both Firematic and Emergency Medical Services. 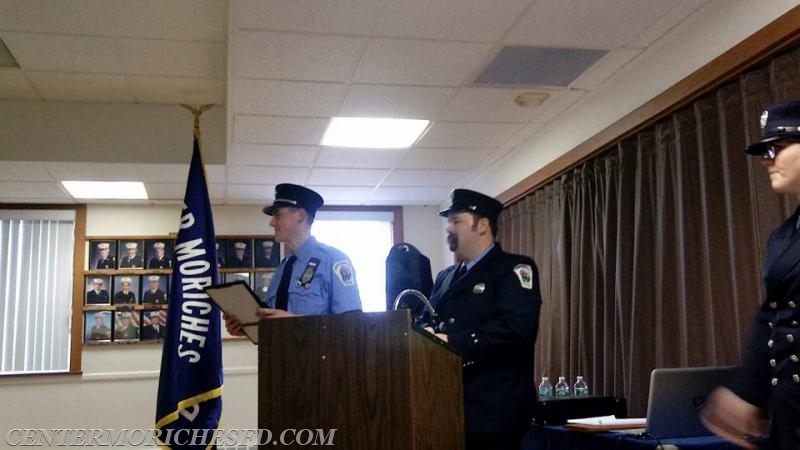 The Member of the Year was awarded to Lieutenants David Magiameli and Samuel Woronick. 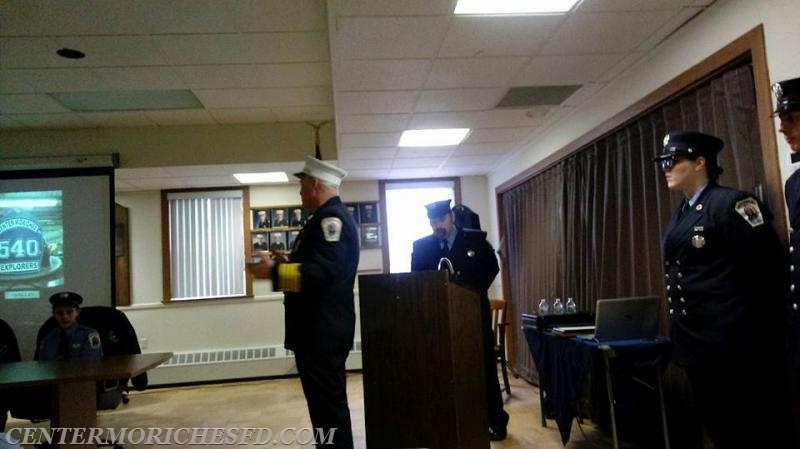 The award was presented by 2014 and 2016 recipient, Captain Tyler Mansfield. 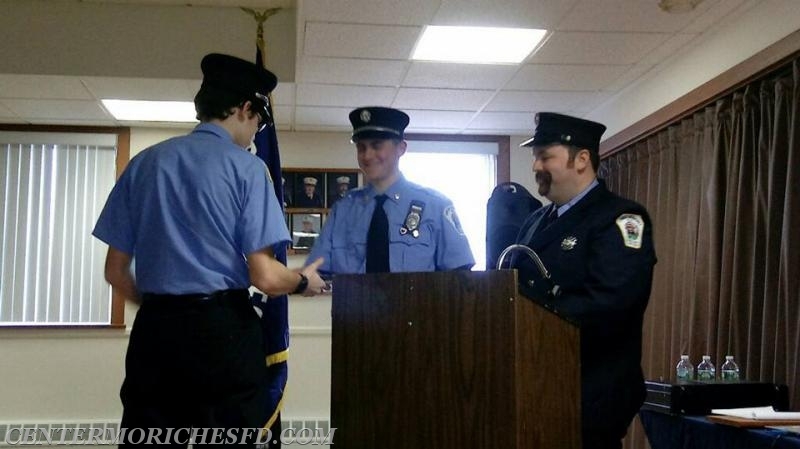 At the end of the afternoon, Chairman Jason Hoffman presented Captain Tyler Mansfield and Lieutenant David Mangiameli with plaques, recognizing their four years of service as Officers. 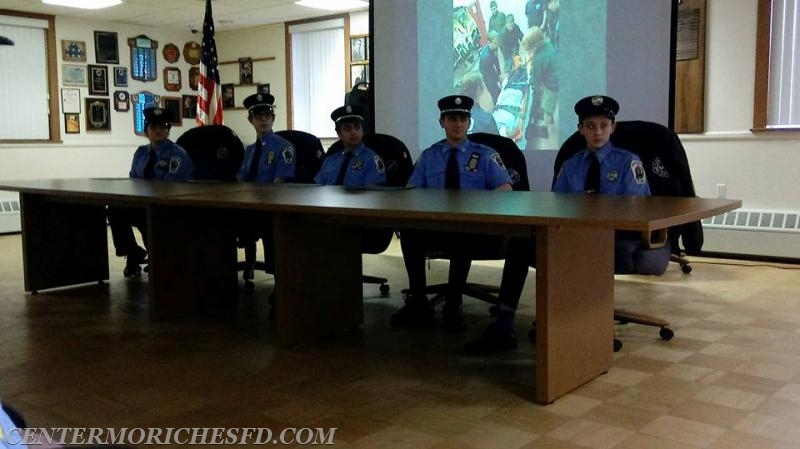 The Advisors Committee would like to thank Chief Schilling and Commissioner Michael Schlosberg for attending the event, along with extending thanks to Ladies Auxiliary member Midge Vojik and Company 2 Firefighter Dylan Madigan for helping serve dinner. 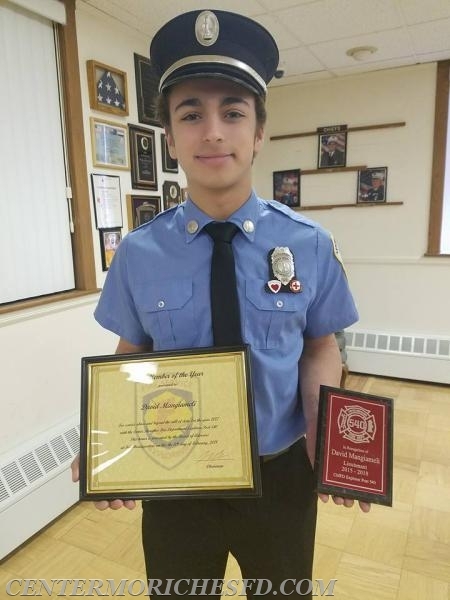 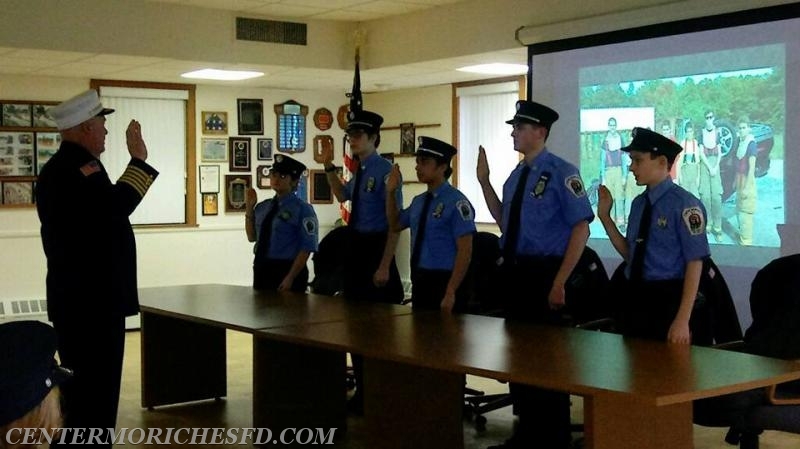 Are you interested in the Center Moriches Fire Department Explorers program ? 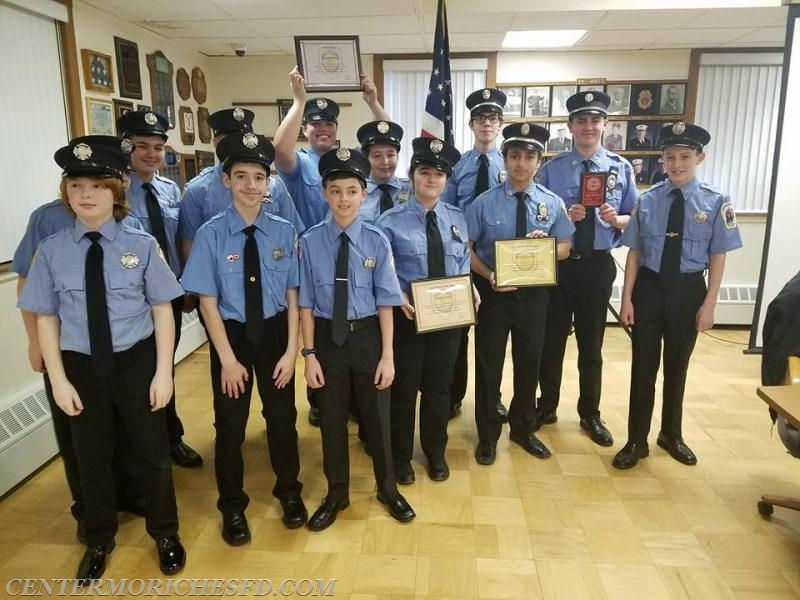 E-Mail us today at: Juniors@Centermorichesfd.com for more information.